FTI Treasury is proud to provide world-leading treasury outsourcing solutions and consulting services to our valued customers around the world. FTI Treasury is currently recruiting a person for our Treasury Front Office. This is a unique and exceptional opportunity for a person interested in a career in treasury and in working in a dynamic environment. Full details and application process can be found here. The EU Benchmarks Regulation (BMR) comes into force on 1st January 2020 requiring that only benchmarks that are compliant with the new regulations can be used by EU companies in new contracts. EONIA will not become BMR compliant, according to EMMI, its administrator. The ECB is currently developing the Euro Short-Term Rate (ESTER), a new Euro unsecured overnight interest rate to replace EONIA as the risk-free rate in Europe. Planning is underway to make Euribor compliant with EU BMR. Daily publication of ESTER is planned for before October 2019. FTI Treasury is currently recruiting an Accounting Assistant. This is a great opportunity for a person with a strong work ethic and common sense to get hands on experience of financial control in a dynamic environment. FTI Treasury will be an exhibitor at the AFP Conference in Chicago from 4-7 November 2018. More than 6,500 treasury and finance professionals attend the AFP Annual Conference to find out more about emerging technologies, trends and services. We help solve the challenges for North American multi-national organizations with treasury internationalization and European and International treasury management. We provide the expertise, technology and best practice control environment for a regional treasury center more quickly, easier and cheaper than doing it yourself. Please visit us at Booth 264 for a chat with Pat Leavy and Ronan Slater. The Financial Market Infrastructure Act (aka “FinfraG”) came into effect on 1st January 2016 aimed at applying Swiss rules on financial market infrastructures and derivatives trading to international standards and changed market conditions. Under the Act, similar to reporting obligations under EMIR, small non financial institutions (NFC- i.e. most corporates) will be required to report derivative transactions to a designed trade repository. On 14 September 2018, the Swiss Federal Council decided to bring the OTC derivate transactions reporting duty for small non-financial counterparties to trade repositories into effect on 1 January 2024 and to extend the corresponding transitional period. The private sector working group recommends the euro short-term rate (ESTER) to replace EONIA as the euro risk-free rate. ESTER is a euro short-term rate developed by the ECB’s Governing Council based on data already available to the Eurosystem. ESTER will reflect the wholesale euro unsecured overnight borrowing costs of euro area banks and will complement existing benchmark rates produced by the private sector, serving as a backstop reference rate. The working group’s recommendation is not legally binding on market participants. However, it provides orientation and represents the prevailing market consensus as regards the preferred euro risk-free rate to which market participants can now start transitioning. The recommendation is a key step in move to alternative euro benchmarks, as usage of non-compliant benchmarks restricted from 1 January 2020. A carve-out in a firm effectively separates a subsidiary or business unit from the parent company and sets it up as a standalone company. While the structure of equity ownership in a carve-out situation can vary, the new organization has its own legal status and board of directors. An equity carve-out typically involves a business selling its shares in a business unit. A spin-off typically involves a company divesting the business unit and setting it up on a standalone company where current investors are given shares in the new enterprise. Irrespective of the shareholding structure, the business unit becomes an independent company. Usually the new enterprise has to establish a new corporate organisation and the old corporate structures and personnel remain with the parent. This means that new corporate functions are required from scratch in the new organization – including a treasury function. Treasury challenges in a carve-out situation is central to the organization transition programme. Key strategic issues address the balance sheet, capital and funding structure and migration of existing or establishment of new debt and capital market facilities. Operational treasury challenges revolve around access to resources and the establishment of a new operational and technology infrastructure. The big challenge is one of time. The transition deadline is dictated by shareholder schedules. The workload is massive. Outsourcing some of the operational activity (e.g. back office, treasury accounting and technology infrastructure) can reduce the workload significantly and most importantly deliver a robust solution on time. It delivers a scalable and flexible solution for the future. A transition phase also offers the opportunity to enhance treasury processes and abandon legacy technology and procedures. However, the lack of time availability and the demands of the transition often means that the opportunity for enhancement is not availed of. The desired changes follow some years later. Using an outsourcing partner can overcome this inefficiency. Data output integration with automated confirmation matching systems, payment systems, accounting systems and trade registries. Middle office accounting and reporting services with month end accounting entries, MTM and hedge accounting, typically integrated to client ERP systems. The experience to get it set-up quickly because of having done this many times before. FTI Treasury will be an exhibitor at the Windy City Summit, Navy Pier Convention Center, Chicago, in May 2018. The Windy City Summit is one of the largest treasury and cash management conferences in the US, attended by more than 1,250 finance professionals. The conference offers educational sessions, keynote and featured speakers, multiple networking opportunities. It is the gathering place for CEOs, CFOs, VPs, Directors, Analysts, Associates and other financial professionals specializing in Treasury, Cash Management, Accounting, Insurance, Credit and Collections, Relationship Management, Investments, and Banking. Please visit us in the Exhibition Hall for a chat with Pat Leavy and Justin Callaghan to learn how US multi-national companies secure European and international treasury operations via a treasury outsourcing solution that is quicker and easier with superior control than doing it yourself. Oh, and also more cost effective! Brexit: Obviously featured as a key topic throughout the conference. The slow progress by the UK government in articulating the UK’s strategies and position restricted comment, but clearly there was full appreciation that Brexit will happen and that the key issue is the form of Custom’s Union that will apply. Apart from Ireland, Brexit is not on the top of the agenda for the remaining EU member states. 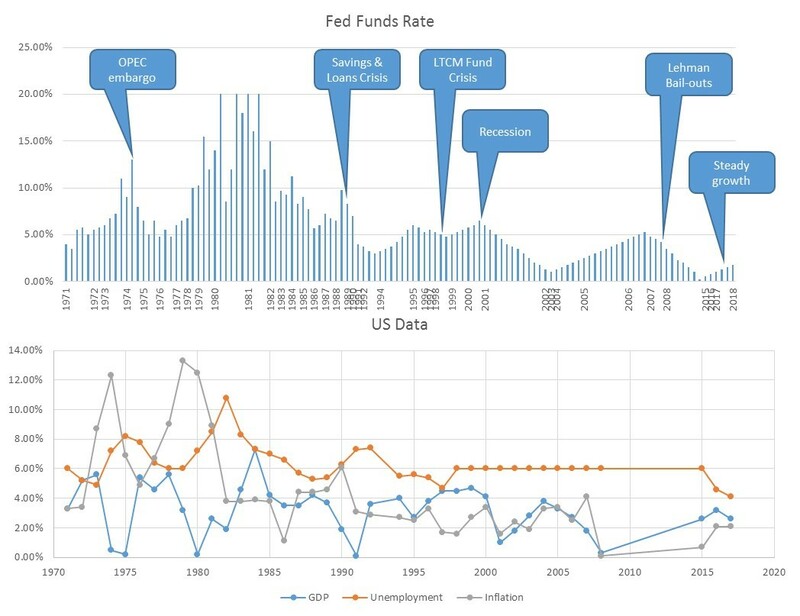 Economic Outlook: Rising US interest rates featured as a key economic dynamic with its impact on cost of debt and interest rate differentials representing areas of concentration. A question raised was whether global economies were beginning to move out of their long term low interest environments. It’s time to analyse the impact of a rise in multi-currency interest rates on corporate, market and systemic risks. The vast majority of cash deposits are overnight and not held for longer maturities. Understanding the ‘wrapper’ and detail of a MMF is essential. The new European LVNAV (low volatility net asset value) may offer some lower risk opportunities for EUR investments. Key to investment strategy is understanding your minimum liquidity position. Surplus cash segmentation between operational cash, cash reserves and strategic cash helps define appropriate and differentiate investment strategies. Full implementation of the Key Liquidity Ratio under Basel III comes into effect in January 2019 which will further influences bank’s perspective on cash appetite (or lack of). LIBOR and IBOR Benchmark Reform: It was noted that an overnight risk free interest rate standard has been identified for GBP (SONIA), USD (Secured Overnight Finance Rate, CHF (Swiss Overnight Rate) and JPY (Tokyo Overnight Rate), while a solution has not yet been found for EUR. It is noted that SONIA has been reformed to make it a more robust standard to ensure that that it is transaction based, but that there is some way to go to establish a transaction based term structure for longer maturities along the yield curve. Medium Sized Companies: Interesting views expressed by mid-sized companies with limited treasury resources (one, two, or three people) on the challenges to meet the demands on treasury delivery with limited and stretched resources. It obviously struck me that FTI’s treasury outsourcing service could help solve some of these challenges! Congratulations to ACT for organising a really good conference. As well as presenting current topics it provides a good networking opportunity amongst fellow treasury professionals and service providers. The Federal Reserve raised interest rates by 0.25% to a new band of 1.5% to 1.75% stating that “the economic outlook has strengthened in recent months.” This is the sixth increase in rates since the financial crisis and the Fed also signalled that at least two additional rate hikes are expected in 2018. 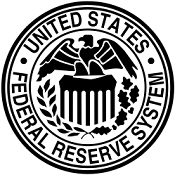 The Fed statement referenced in particular the strengthening of the labour market and moderate rising economic activity. US 2017 economic date shows GDP at 2.6%, unemployment at 4.1% and inflation at 2.1%. FTI Treasury ran its bi-annual Dublin based training on Understanding Treasury Management in March 2018. Participation is limited to 22 and we are pleased to say that the course was over-subscribed. A re-run of the course is scheduled for 17/18 October 2018 (see EVENTS) and interested participants are encouraged to book early to avoid disappointment. The course is a broad and deep introduction to all aspects of treasury management and is divided between a day on Strategic Treasury Management and a day on Operational Treasury Management. It was a pleasure to meet participants representing multi-national corporations, domestic and international state agencies, credit unions and financial institutions. It was also an opportunity for people to meet and network with like-minded treasury professionals. FTI Treasury is currently recruiting a Treasury Front Office Specialist. This is a great opportunity for an enthusiastic experienced treasury professional to join our growing team. On December 15 2017 The U.S. House of Representatives and Senate Republican conference committee reached agreement on reconciliation of the differences in US tax reform proposals that were passed by both Houses. The introduction of a territorial tax system under which only domestic earnings would be subject to tax. Carry backs scrapped and carry forwards capped at 90% of taxable income, falling to 80% after 2022. The impact on other specific areas of interest include the corporate bond market, interest rate policy and foreign direct investment. All of these impacts should be monitored as the bill progresses. On 24th November 2017 the U.K. Financial Conduct Authority confirmed that key banks have agreed to support the London interbank offered rate (LIBOR) until 2021 and will work towards developing an alternative benchmark before then. The LIBOR benchmark is the average rate a group of 20 contributor banks estimate they’d be able to borrow funds from each other (assuming a reasonable market size) in five different currencies (USD, EUR, GBP, CHF and JPY) across seven time periods overnight, one week, and 1, 2, 3, 6 and 12 months). A total of 35 rates are posted every business day at 11.00a.m. UK time. ICE LIBOR was previously known as BBA LIBOR until February 1st 2014, the date on which the ICE Benchmark Administration (IBA) took over the Administration of LIBOR. All ICE LIBOR rates are quoted as an annualised interest rate. Every ICE LIBOR rate is calculated using a trimmed arithmetic mean. Submissions are ranked in descending order and then the highest and lowest 25% of submissions are excluded. The remaining contributions are then arithmetically averaged and the result is rounded to five decimal places to create an ICE LIBOR rate. 'The Bank of England’s Monetary Policy Committee (MPC) sets monetary policy to meet the 2% inflation target, and in a way that helps to sustain growth and employment. At its meeting ending on 1 November 2017, the MPC voted by a majority of 7–2 to increase Bank Rate by 0.25 percentage points, to 0.5%. The Committee voted unanimously to maintain the stock of sterling non-financial investment-grade corporate bond purchases, financed by the issuance of central bank reserves, at £10 billion. The Committee also voted unanimously to maintain the stock of UK government bond purchases, financed by the issuance of central bank reserves, at £435 billion'. FTI Treasury will be an exhibitor at the AFP Conference in San Diego from 15-18 October 2017. More than 6,500 treasury and finance professionals attend the AFP Annual Conference to find out more about emerging technologies, trends and services. Our offering is to provide a treasury outsourced solution for European and International treasury management. We provide the expertise, technology and best practice control environment for a regional treasury center more quickly, easier and cheaper than doing it yourself. Please visit us at Booth 1751 in the exhibition hall for a chat with Pat Leavy and Justin Callaghan. The OECD Global Forum on Transparency and Exchange of Information for Tax Purposes is a multilateral framework for tax transparency and information sharing within which 140 jurisdictions participate. The Global Forum assesses by peer review the implementation and practice of the international standard of exchange of information on request (EOIR) and automatic exchange of information. A first round of reviews was conducted from 2010 to 2016. The findings from a second round of reviews of 10 jurisdictions were published today covering – Ireland, Norway, Mauritius, Germany, Canada, Bermuda, Australia, Cayman islands, Qatar and Jamaica. Andrew Bailey, Chief Executive of the U.K. Financial Conduct Authority delivered a speech at a Bloomberg event where he announced that the British regulator will phase out LIBOR as the key interest-rate benchmark by the end of 2021. The objective set out in the Financial Stability Board’s July 2014 report on Reforming Major Interest Rate Benchmarks, to anchor LIBOR submissions and rates to actual transactions, has been difficult to realise “because the composition of the current panels (of banks) is unrepresentative of the underlying market, and transactions in that market”. Data indicates that there are relatively few eligible term borrowing transactions by any large banks in the twelve, six or even three month term, which raises the question about the sustainability of the LIBOR benchmarks that are based upon these markets. A reference rate anchored in active markets and which does not involve expert judgement is required instead. The UK Risk Free Rate Working Group proposes SONIA as the alternative benchmark. 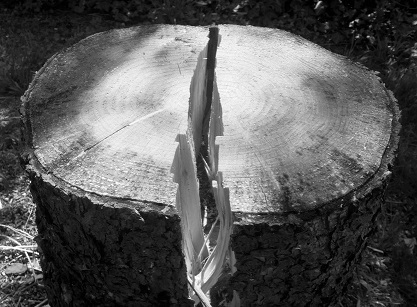 The risk of earlier panel degradation and market disruption will remain. What happens to LIBOR and legacy contracts that still reference LIBOR after the end of 2021 will be up to the benchmark’s administrator – ICE Benchmark Administration – and the panel banks. What does this mean for existing floating-rate securities pegged to LIBOR? What impact will it have on pricing? Watch this space!! FTI Treasury today received its SSAE 18 Type 2 Report from Grant Thornton for the period 1st July 2016 to 30th June 2017. It is a clean report and shows ‘no exceptions noted’. Statement on Standards for Attestation Engagements (SSAE) No. 16, Reporting on Controls at a Service Organization, was established by the Auditing Standards Board of the American Institute of Certified Public Accountants (AICPA). The AICPA’s Auditing Standards Board (ASB) completed a clarity project with the issuance of Statement on Standards for Attestation Engagements (SSAE) No. 18, which clarifies the SSAEs (also known as the attestation standards) and is effective for practitioners’ reports dated on or after May 1, 2017. A Service Organization Control (SOC) report is an effective way for a service organization such as FTI Treasury to communicate information about its controls. A SOC 1 report focuses on controls at the service organization that would be useful to user entities and their auditors for the purpose of planning a financial statement audit of the user entity and evaluating internal control over financial reporting at the user entity. The SOC 1 report contains the service organization's system description, an assertion from management, and the independent service auditor opinion and report. There are two types of SOC 1 reports: Type I and Type II. The controls tested, which were those necessary to provide reasonable assurance that the control objectives stated in the description were achieved, operated effectively throughout the period 1 July 2016 to 30 June 2017. Temple Street is Ireland's leading National Children's Hospital and Techies4Temple Street is a charity event to raise funds for the redevelopment of hospital facilities, purchasing life-saving equipment, financing research and by creating a caring environment. For the second year the FTI Treasury team participated in the event as part of the Company’s Corporate Social Responsibility initiative whereby we participate and support specific events that furthers a social cause beyond the interests of the company. Europe and Ireland: Dates for your diary!! 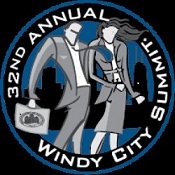 The Windy City Summit is one of the largest treasury and cash management conferences in the US, attended by more than 1,250 finance professionals. The Windy City Summit offers educational sessions, keynote and featured speakers, multiple networking opportunities and the occasion to meet Pat Leavy and Justin Callaghan of FTI Treasury. Visit FTI Treasury at Booth 113 in the expo hall to see how US multi-national companies use treasury outsourcing services to meet their needs for European and global cash pool administration, liquidity and fx management, intra-group loan management and intra-group netting. In November 2016, the European Commission adopted the EMIR report, which indicated that no fundamental change should be made to the nature of the core requirements of EMIR. Transactions between a financial counterparty and a non-financial counterparty not subjected to the clearing obligation will now be reported by the financial counterparty on behalf of both counterparties. Transactions concluded between companies belonging to the same group (so-called 'intragroup transactions') where at least one of the two counterparties is a non-financial company will no longer have to be reported. Exchange-traded derivatives or ETDs which are derivative transactions concluded on exchanges will be reported only by the CCP on behalf of both counterparties. Historic transactions (i.e. those which were entered into before the start of the reporting obligation and are still outstanding on that date; 'backloading') will no longer need to be reported. Trade repositories will now also be required to allow counterparties which delegated reporting to another entity to view the data which was reported on their behalf. OTC derivatives used to hedge risks related to their activities continue to be subtracted from the firm's overall position and do not count towards the threshold set for the clearing obligation. The changes will enter into force once the European Parliament and the European Council have approved them. FTI Treasury attended the second European Financial Forum, a partnership between The Financial Times and IDA Ireland, bringing together international and Irish industry leaders, policy makers, regulators and subject matter experts to explore the various forces that are shaping the global financial services industry. The theme was ‘Transformation and Reinvention in Uncertain Times’ and the added significance of Brexit and the new administration in the United States were underlying topics. PSD2 and regulated access to bank data. The landscape for surplus and operational corporate cash investments has changed dramatically as a result of negative interest rate environments and the regulatory impact on the demand for cash and the availability of investment products. While typically corporate cash investment policy objectives are security, liquidity and return (in that order), having to pay for the privilege of holding cash with a financial institution does not sit well for many business people. However, the pursuit of solutions such as considering strategies around extending maturities, accessing risk/return profiles, looking at a wider range of products are being effected by regulatory reform. The phase in arrangements for Basel III means that financial institutions have revised views of different sources of liquidity, and favour deposits that are not linked to day to day activities to have a tenor in excess of 30 days in order to facilitate their stress testing obligations under the regulatory framework. Bottom line – many banks don’t want your day to day excess cash which challenges the corporate treasury requirement to manage counterparty risk through diversification. Subsequently corporates need to better understand the profile of the cash they hold. Money Market Fund reform, both in the US and Europe, is further evidence of the impact of regulation on traditional cash investment behaviour where MMFs were typically used as an established and routine daily cash investment option. MMF reform measures in the US include the eliminate of constant NAV funds and provides for the ability of fund managers to impose liquidity fees and redemption gates. The Financial Times reports that “As a result of the reform, more than $1tn has left prime and tax-exempt funds, with government funds proving the main beneficiary”. European MMF reform has taken a different direction to the US and final agreement was made late in 2016 by the European Parliament, Commission and Council, the implementation period yet to be determined. Can facilitate group-wide currency exposure management and hedging. Following on from the European Commission Review of EMIR Report released in November 2016 and with MIFID coming into effect in less than 12 months, there are a number of implications for corporate treasuries which should be monitored during the year. The Commission’s review of EMIR determined that there would be “no fundamental change should be made to the nature of the core requirements of EMIR, which are integral to ensuring transparency and mitigating systemic risks in the derivatives markets”; but that “a number of areas were highlighted where the EMIR requirements could be adjusted”. FC - Financial Counterparty: Applies for credit institutions, MiFID firms, insurance undertakings, pension funds, UCITS and certain AIFs. Variation Margins apply from 1st March 2017 and Initial Margins will be introduced over time. Netting may apply if subject to an enforceable netting agreement. Exemptions: Spot FX exempted. Temporary variation margin exemption applies to physically settled FX forwards. Additional powers of supervision for the European Securities and Markets Authority (ESMA) relating to conduct of business. FX Forwards settling in T+3 or later must be reported. At least one of the parties is an NFC. The FX contract is used for identifiable goods, services and direct investment. Organised Trading Facility (MiFID II). Country by Country Reporting, “CbC reporting”, to the Irish Revenue must be completed by the last day of the fiscal year for which it relates e.g. for financial years ending 31 December 2016 . Country by Country Reporting, “CbC reporting”, is part of Action 13 of the OECD/G20 Base Erosion and Profit Shifting (“BEPS”) Action Plan, the purpose of which is to enhance the transparency of tax administration on a global basis by enabling the assessment of transfer pricing risk and BEPS related risk. As Ireland has elected to be an early adopter of Action 13, CbC reporting has come into play for financial years beginning on or after 1 January 2016. CbC Reporting only applies to Irish companies that form part of a multinational group whose annual consolidated group revenue is in excess of €750 million in the preceding fiscal year. Relevant companies are required to notify the Irish Revenue Commissioners of the status of the entity on an annual basis. If the Irish entity is not the groups’ reporting entity then the Irish entity must notify the Revenue Commissioners of the identity and tax jurisdiction of the reporting entity who will file their CbC report. The notification to the Revenue must be completed, at the latest, by the last day of the fiscal year for which it relates e.g. for financial years ending 31 December 2016 the Revenue must be notified by the 31 December 2016. Notification is completed through ROS (revenue online system). If the Irish entity is the groups’ reporting entity then the first CbC report must be filed 12 months after the period to which the report relates, so for financial years ending 31 December 2016 the first report must be filed by the 31 December 2017. What information is included in the CbC report? The detail to be reported on includes revenue, profits, taxes, number of employees among other important financial statistics for each tax jurisdiction in which the multi national group does business. Failure to comply with the relevant reporting requirements or reporting incorrect or incomplete data could trigger a penalty of €19,045 with the possibility of further daily penalties being applied for each day thereafter that the correct report remains outstanding. The CEO Forum, jointly hosted by Enterprise Ireland and Deloitte, is one of Ireland's principal business conferences and attracts key audiences of up to 400 senior business people and provides a forum for collaborative thinking, knowledge sharing and debate with political and business leaders. Pat Leavy, CEO of FTI Treasury, attended this invite only networking event. The theme was, ‘Powered for Growth’, and focused on the key opportunities and challenges that companies are facing to grow their businesses so that they can look to lead scalable, innovative companies, capable of international growth and expansion. Claire Byrne’s opening remarks as Moderator compared last year’s ‘scent of optimism’ with this year as being the ‘meat between the sandwich of the known and unknown’. Julie Sinnamon, Chief Executive Officer, Enterprise Ireland said that by 2030, 64% of the global middle class will be located in the AsiaPacific region. Julie also said that Brexit is a game changer for Irish industry and that their client firms were gathering the evidence to inform an appropriate response through driving the competitiveness agenda, going on the offensive and pursuit of innovation and a lean agenda. Use organization values to navigate constant change. Survivors must respond to change. Michael Delaney, Executive Director of FTI Treasury, represented the Company at the Irish Association of Corporate Treasurer’s annual Corporate Treasury and Cash Management Conference in Dublin. Approximately 100 corporate treasurers joined a similar number of service providers to consider economic, market, taxation and treasury risks, challenges and opportunities. The Conference was chaired by George Lee (RTE Economist and previous FTI Treasury colleague), who managed the contributions of over 20 guest speakers on a varied range of interesting topics. FTI Treasury is a founding member and patron of the Association and congratulate the organisers on another successful event. 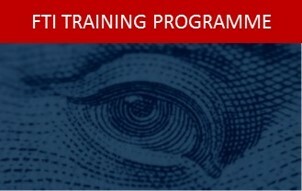 FTI Treasury will run its bi-annual Dublin based training on Understanding Treasury Management in November. This training course is specifically targeted at people who are seeking to upgrade and deepen their understanding of treasury management, instruments and operations. U.S. Department of the Treasury announced final regulations aimed at addressing earnings stripping and the treatment of financial instruments that purport to be debt as equity. The Department has taken on board submissions in respect of cash pools and short term loans and is providing a broad exemption for both that are short term in form and substance. Companies will be permitted to treat short-term instruments issued among related parties in the ordinary course of business as debt. Treasury has also relaxed the inter-company loan documentation requirements by extending the effective date of the document rules by one year to January 1 2018. On 23rd June 2016 the British public went to the polls to decide whether or not the United Kingdom should remain a member of the European Union. On 24th June the results revealed that the UK had voted to leave the EU by 52% to 48%. See Pat Leavy’s opinion on the discomfort of currency volatility in the board room published in Agenda, the Financial Times Service offering a boardroom resource platform and providing the most influential source of intelligence for today's corporate directors. Pat says “Currency has become an uneasy word in the board room and ‘C’ suite”. Log on to http://www.agendaweek.com for a trial to view the article. FTI Treasury today received its SSAE 16 Type 2 Report from Grant Thornton for the period 1st September 2015 to 30th June 2016. It is a clean report and shows ‘no exceptions noted’. Statement on Standards for Attestation Engagements (SSAE) No. 16, Reporting on Controls at a Service Organization, was established by the Auditing Standards Board of the American Institute of Certified Public Accountants (AICPA). A Service Organization Control (SOC) report is an effective way for a service organization such as FTI Treasury to communicate information about its controls. A SOC 1 report focuses on controls at the service organization that would be useful to user entities and their auditors for the purpose of planning a financial statement audit of the user entity and evaluating internal control over financial reporting at the user entity. The SOC 1 report contains the service organization's system description, an assertion from management, and the independent service auditor opinion and report. There are two types of SOC 1 reports: Type I and Type II. The controls tested, which were those necessary to provide reasonable assurance that the control objectives stated in the description were achieved, operated effectively throughout the period 1 September 2015 to 30 June 2016. On Thursday 14th July a public hearing by the U. S. Treasury Department and Internal Revenue Service received input on the proposed regulations under Section 385 of the Internal Revenue Code regarding the re-characterization of certain debt instruments as equity. Significant reaction against the proposed changes focused on the potential increase in liquidity cost and requests for exemptions, delayed implementation and the withdrawal of the rules. The two most significant concerns from a corporate treasury perspective are the impact on using internal funding as a source of financing and the effect on cash pooling structures. The expectation is that this Rule will be finalized by the end of the year. The FTI Treasury team will join Ireland’s tech community in coming together to raise funds for Temple Street, Ireland’s National Children's Hospital for specialist facilities for Paediatric Neurology and Renal Dialysis & Transplantation by participating in the T4TS treasure trail challenge. FTI Treasury will participate in the 2016 Coprocess User Group Meeting in Geneva in June, providing the opportunity to enhance our partnership with Coprocess and to meet with other netting users. Coprocess netting is FTI’s netting system of choice and part of our strategy to use ‘best-in-breed’ technology to delivery our treasury outsourcing solutions. Following on from FTI Treasury’s collaboration with Notre Dame University in 2015, we welcome Peter Janiw as a 2016 summer intern to the company as part of the Notre Dame’s Irish Internship Programme. Peter will spend two months immersed in FTI and working alongside our team to gain valuable pragmatic experience. Pat Leavy, a Fellow of the Association of Corporate Treasurers, attended the ACT Annual Conference in Liverpool and noted the obvious concerns over Brexit and negative interest rates. A Standard and Poor’s downgrade of the UK sovereign credit rating and Sterling depreciation are immediate short term consequences of a vote in favour of Brexit on 23rd June. Corporate treasury needs to adjust for a significantly longer period of negative interest rates in major economic areas. FTI Treasury is a participant company of Ireland Gateway To Europe (IGTE), a not-for-profit collective of Irish service providers who showcase Ireland as Europe's premier investment location through events in the U.S. FTI was part of IGTE’s delegation to Boston where the highlights of the mission included the Boston College Club CEO breakfast, faculty lunch and campus tour and the IGTE Investment Summit that included Brian Halligan, Hubspot CEO and Congressman Richard Neal as speakers. Justin Callaghan, COO and Pat Leavy, CEO FTI Treasury met with a range of companies and clients in the states of Michigan and Illinois during May. A common set of concerns were expressed around Regulation 385, Brexit, technology integration and fraud and phishing. FTI Treasury will run its bi-annual Dublin based training on Understanding Treasury Management on April 12th and 13th. This training course is specifically targeted at people who are seeking to upgrade and deepen their understanding of treasury management, instruments and operations. The U.S. Treasury Department has issued regulations under Section 385 of the Internal Revenue Code which have the potential of having significant consequences for multinational companies using cash pooling structures and providing inter-company financing. The Code is intended to prevent corporate tax inversions and introduces a debt-equity characterization rule which could have the impact of reclassifying existing debt as equity. The effective date is April 4th 2016. Advocacy groups belief that the regulation has created unintended consequences and are lobbying the IRS to consider this matter further. Watch this issue carefully! One of the requirement under the Companies Act 2014 in Ireland, which came into effect on 1st June 2015, is the requirement for all companies registered as “Private Limited by Shares” to convert to one of two types of new companies – LTD (Private Company limited by shares), or DAC (Designated Activity Company limited by shares). FTI is working with its clients who have treasury companies in Ireland to navigate the conversion process and the consequences. The deadline for conversion to a DAC is 31st August 2016 and to a LTD is 30th November 2016. FTI Treasury attended the inaugural Europe Financial Forum presented by the Financial Times (FT) in association with Enterprise Ireland. The Forum provided the opportunity for international decision makers to debate a range of challenges and issues facing the European and global financial services industry, particularly in respect of the European Financial System, Digital Disruption and the Global Payments Industry. FTI Treasury is a Patron and founding member of the Irish Association of Corporate Treasurers and attended the annual patrons meeting in January. We encourage corporate treasury people in Ireland to become members and to support the Association’s comprehensive suite of events. The breakfast meetings address matters of particular corporate treasury interest. View the WEBchat discussion between FTI Treasury CEO, Pat Leavy, and Jack Large of CTMfile on the realities of treasury outsourcing – drivers, benefits, concerns and mitigations and the future of treasury outsourcing.